~Michael Meade, Fate and Destiny; The Two Agreements of the Soul. In my dream, Rachel and I are going somewhere close to Grandpa Miller’s homestead. The road is blocked by strange bridges. We cannot get the car across. Then, we are at the house. It isn’t Grandpa’s house but an unknown one. A very beautiful young woman, Y.C.S is in the house. I can hear her talking to my mother about New Age and saving the young people from something or other. I am outside or in a closet but I can hear part of the conversation. Then I am on the other side of the bridge and a man comes and steals our dog, Rascal. The dream ends. My younger self, about 10 years old, is visiting the past. My dream ego sees “strange” ways to get across a stream. 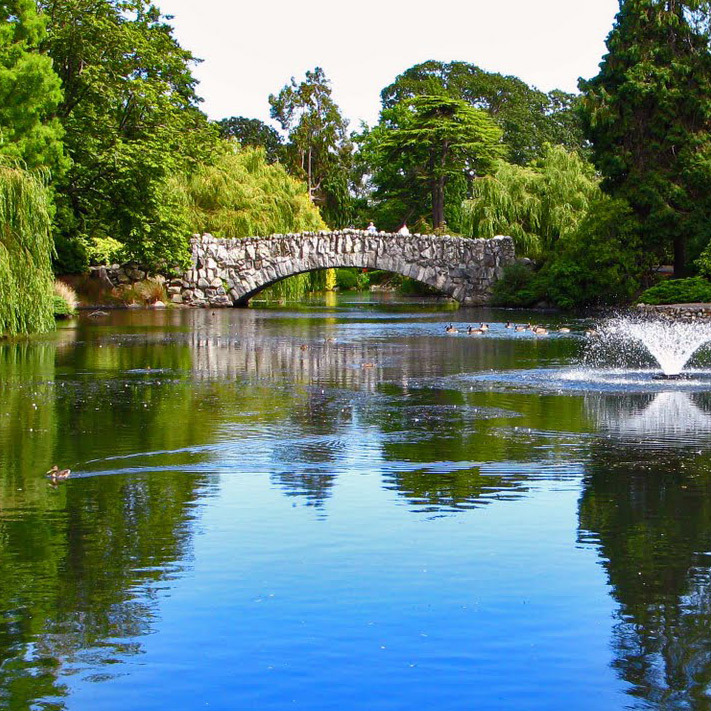 Water is representative of the unconscious. The house represents my inner world. My younger self is talking to the Mom in me, the Mom voice that represents beliefs rooted in the age of my grandparents who lived on the homestead in the Cornwall Creek area in the 1930s and 40s. I think about the catechism of the Catholic Church of my grandparents era. Y.C.S represents the beautiful and youthful inner feminine which I find intimidating. Sometime during these early years of dream work, I met a older woman at a meditation group. She insisted on giving me a 1930s copy of the Baltimore Catechism. I read a good deal of it and realized that despite the changes in the Church during the reign of Pope John Paul XXIII and the Vatican Council of 1962, my personal unconscious retains the beliefs of my grandparents and parents. Catholicism was much much more rigid particularly in its view of women, sexuality and discipline. Also, I was young. The interpretations of children require a new look from the perspective of the 43 year old self. The dream brings to my consciousness my fears of “New Age” beliefs. The Teachings of the Inner Christ would most definitely be considered New Age. So, the dream comes to show me, my dream ego, that I am keeping my views in the closet and just beginning to recognize that I have one intellectual belief system and another unconscious belief system. Bringing the two together requires crossing over the bridge of consciousness, bringing old beliefs out of the closet as it. The dog is representative in ancient symbolism of healing. There is much written about dreams of animals, especially dogs and snakes as healing symbols. Rascal is the name of our border collie. Some aspect of me, unknown to me, is trying to steal my ability to follow my instinct, my intuitive right action, my inner intuition, my instinct, my dog. Dreams are the language of the soul, symbolism. I am reminded, or warned not to allow the material world, conscious thought, the intellect, the ego to steal the blossoming new life, the growth of the inner child toward wholeness and individuation. What have I learned since this dream? I now know that the bridge and the inability to get the my car (auto meaning self) across from the world of my grandfather to “another world” where there is a beautiful feminine inside the “house”, may be my own holding on to old beliefs. The beautiful young woman may be an aspect of my inner world and spirituality. Y.C.S may be symbolic of the beauty of the spiritual home that awaits if I have the courage to cross the bridge, follow my intuition. In dream work and mythology, dogs may indicate healing as in The Porch of Aesculapios and the Hippocratic oath. There is a good deal to this dream that eluded me 25 years ago. It reminds me that writing and revisiting dreams leads to merging the multitude of layers in one dream. 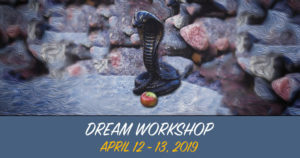 Edmonton Dream Analysis Workshops in Edmonton with Dream Worker Pearl Gregor, Ph.D.